This recipe for Sun-Dried Tomato Dip will catapult you to the rank of professional party planner while keeping you sane. The key to keeping a cool head is to do as much as you can ahead of time. Of course, this dip is designed for advance planning, and with cream cheese and yogurt, it's incredibly creamy, too. Then throw in sun-dried tomatoes, lemon, and tarragon and it takes things to a new taste level. Your guests are certain to love this quick and easy dip just as much as you do. Water crackers or bagel chips make great dippers for this flavorful, cream cheese-based dip. Blend cream cheese, yogurt, tomatoes, shallots, lemon juice, zest, and salt in a food processor until slightly chunky. Fold parsley and tarragon into dip. Transfer dip to a serving dish; chill dip at least 1 hour. 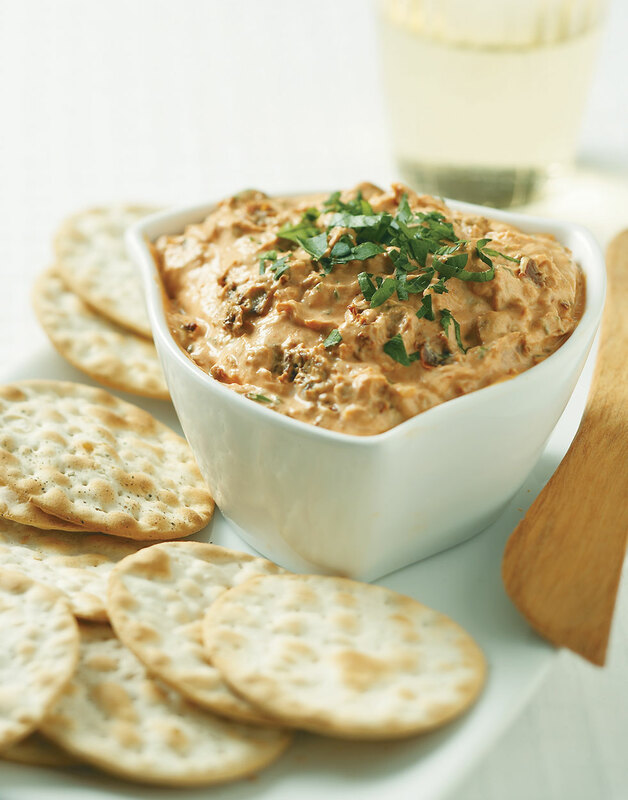 Serve dip with water crackers or bagel chips.